Against a backdrop of unprecedented levels of urbanization, 21st century cities across the globe share concerns for the challenges they face. This Companion provides a framework for understanding the city as a critical building block for a more sustainable future within broader subnational, national and continental contexts, and ultimately, within a global systems context. It discusses the sustainable strategies being devised, as well as the methods and tools for achieving them. Examples of social, economic, political and environmental sustainable policy strategies are presented and the extent to which they actually increase sustainability is analyzed. 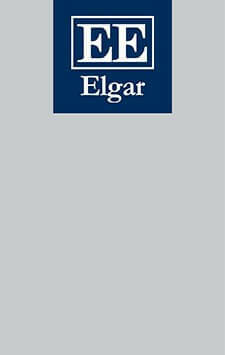 The Elgar Companion to Sustainable Cities provides a comprehensive framework for understanding and applying the methods and strategies for cities to attain a more sustainable future. Against a backdrop of unprecedented levels of urbanization, 21st century cities across the globe share mutual concerns for the challenges they face. This Companion focuses on the importance of the city as a critical building block for a more sustainable future within broader subnational, national and continental contexts, and ultimately, within a global systems context. It discusses the sustainable strategies being devised, as well as the methods and tools for achieving them. Examples of social, economic, political and environmental sustainable policy strategies are presented and the extent to which they actually increase sustainability is analyzed. Topics explored include compact cities and urban metabolism; environmental justice; water resources planning and the impact of climate change on industry, food policy and urban design. This book will appeal to academics and students of planning, public policy and administration, as well as environmental and urban studies. It will also be of interest to those working in urban planning and sustainable development professions. 21. Sustainable Cities and Governance: What Are the Connections?